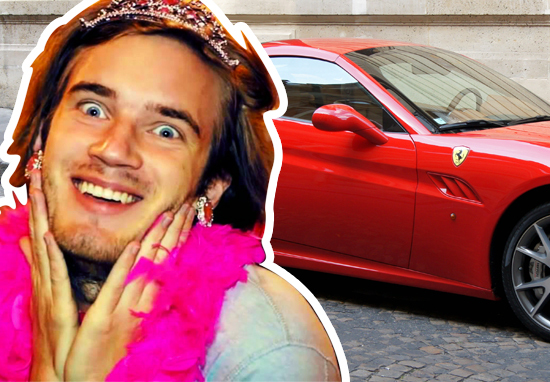 Millionaire YouTuber Felix Kjellberg is pulling in the big bucks and has shared a video of his hard earned new wheels. 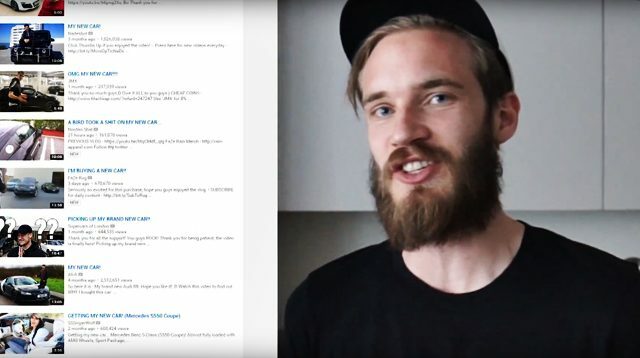 Under the moniker ‘PewDiePie’ the 26-year-old has amassed loads of cash and managed to become one of the most influential people in world so it’s only fair that he reward himself. I saw a lot of ‘My New Car’ Vlogs, and I think they’re really entertaining. I think it’s really inspiring how young YouTubers can afford to buy a Lambo, buy a Ferrari, and I feel like now it’s my turn. Seems fair enough, he’s worked damn hard playing games and shouting at a camera so why shouldn’t he enjoy the rewards? But what car does the most-popular YouTuber in the world buy? A Lamborghini, Ferrari, maybe a vintage Porsche 911? Fair play, PewDiePie that was probably the best ‘My New Car’ Vlog I’ve seen in a while. I actually had the same car at University. I used to call it the Micra-wave on account of it being so boxy and slow. Luckily, now I’ve upgraded to a sweet 1999 Toyota Corolla in beautiful faded grey so the days of being embarrassed by my car are long gone.